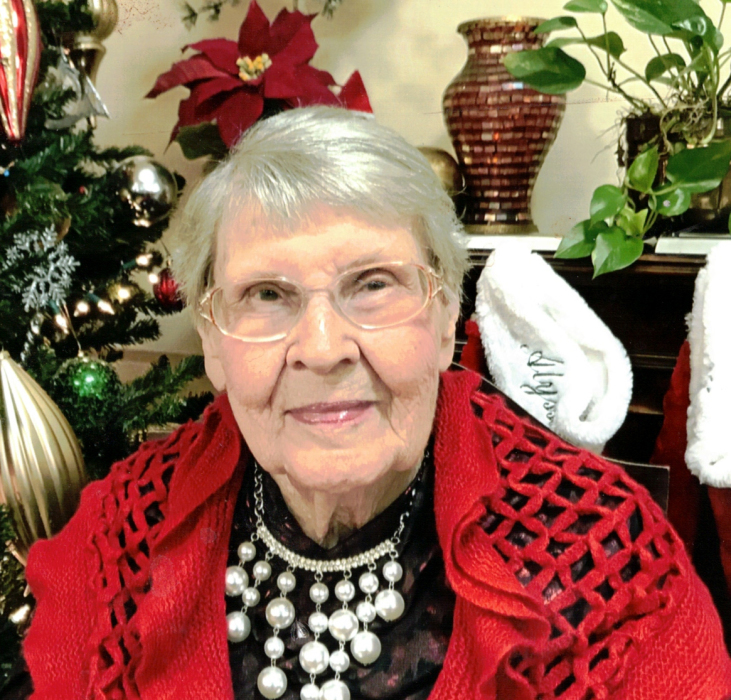 Obituary for Euna Kemp Gaddy | Jones Funeral Home, Inc.
Euna Kemp Gaddy, age 99 of Bastrop, LA, passed away on Thursday, January 17, 2019 at Cherry Ridge Nursing Home in Bastrop, LA. She was born on September 16, 1919 to her parents, Henry and Gertrude Kemp. She was a member of Beech Street Baptist Church in Crossett, AR and worked at Wal-Mart in Crossett, AR as a greeter for fifteen years. In her retirement, she was a member of The Good Shepherd Rhythm Band. Euna loved working puzzle books and watching professional basketball. Her favorite team was the San Antonio Spurs. She was passionate about chocolate and Elvis, and was known for her homemade pies. She is preceded in death by her parents, Henry Elgin Kemp and Gertrude Matilda Lewis Kemp; two husbands, Murry Carter and Harold Gaddy; one daughter, Brenda Lee; one great grandson, Brad West; three sisters and five brothers. Mrs. Gaddy is survived by one son, Ron Carter (Brenda) of Little Rock, AR; one daughter, Sheila Carothers of West Monroe, LA; four granddaughters, Teri Lee Edmoundson (Mike), Robin Lee, Brandi Shockley (Shannon) and Ronni Fellers (Chad); three grandsons, Jimbo Lee (Sandra), Murry Carter (Cynthia) and Scott Carothers; fourteen great grandchildren; seventeen great-great grandchildren and a host of friends and loved ones. Funeral services are 2:30pm on Sunday, January 20, 2019 at Jones Funeral Home, Inc. with Ron Carter and Cliff Parnell officiating. Pallbearers are Chad Fellers, Jarrod Harrington, Scott Carothers, Shannon Shockley, Jimbo Lee, Murry Carter and Shaun West. Interment is in Pinewood Memorial Park. Visitation is 1:30pm on Sunday, January 20, 2019, one hour prior to the funeral service at the funeral home.